World Pancakes day is February 2nd every year. I didn’t know this until three years ago. That’s when i took the picture below in commemoration. Crepes are thin pancakes, the Americans like their pancake thick the Europeans prefer it thin. 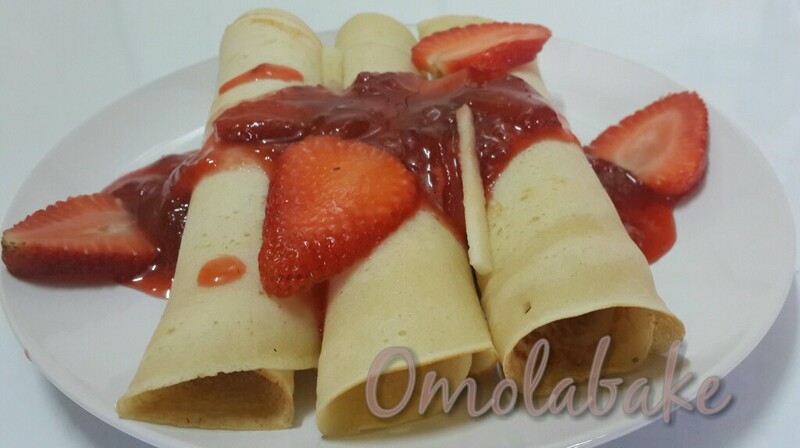 Crepes are popular in Nigeria but we just call them Pancakes. 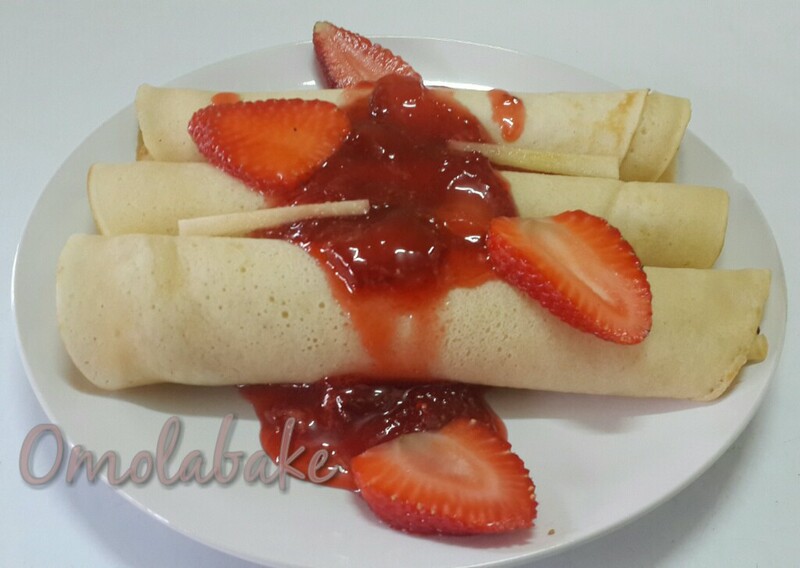 Crepes with Mango/Strawberry Salsa topped with whipped cream and honey. 2 tbsp veg oil to fry. Mix all ingredients together except oil to a very smooth paste. Place a non stick on low heat, using a pastry brush, brush some oil on the pan or push about a drop of oil on the pan and let it spread across the pan. Scoop the paste into the pan and allow it spread to the edge of the pan. Allow the lower side to dry slighty then flip the sides and allow the other side to dry and the edges to crisp slightly. Look how slim those crepes are!